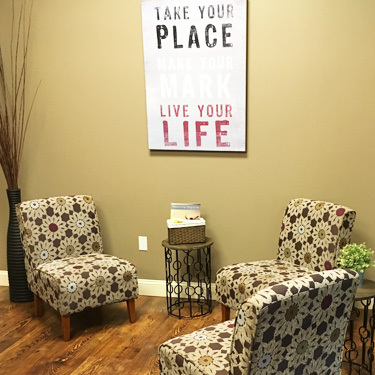 If you’re visiting our Minooka chiropractic center for the first time, we’d like you to know exactly what to expect. We want to provide you with an experience where you can clearly see that your health needs and concerns will be recognized and respected. 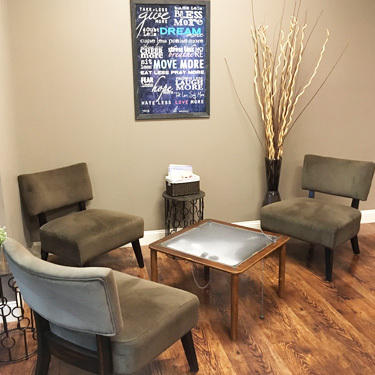 The Chiropractic Place has been described as warm, inviting and relaxing. We have a kid-friendly atmosphere, and feature a great selection of music from Pandora. Our patients enjoy a unique camaraderie with one another and our staff; we love to make people feel welcome! 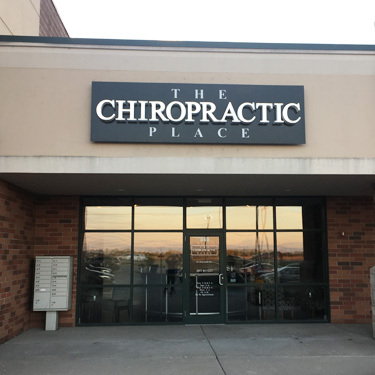 Your first visit will take about 60 minutes. 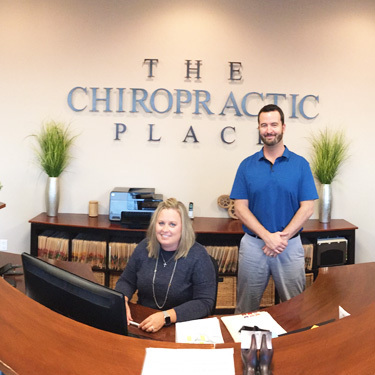 Before meeting with Dr. Duff, we’ll collect your insurance information and give you a brief tour of the office. We’ll have you change into a gown so that we can do the best possible job in helping to diagnose your problem. 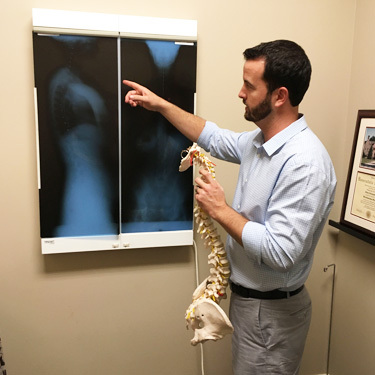 During your next appointment, Dr. Duff will evaluate your examination, computerized scan findings and X-rays to help you understand the true source of your problem. He’ll also propose a customized care plan to help you meet your stated goals, and will present affordable financial options for your consideration. Once our initial diagnostic evaluation is completed, and a plan of action decided upon, regular visits should be shorter, depending on the issue and specific treatments. 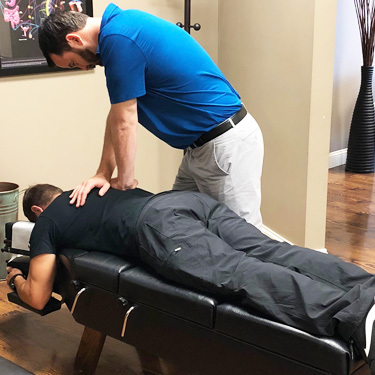 We pride ourselves on forming a complete partnership with our patients in helping them to recognize that their body has tremendous healing capabilities. 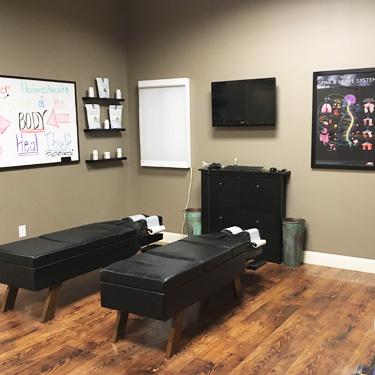 Our office also warmly welcomes all patients to attend a complimentary workshop to learn about the many ways that you can assist yourself in feeling the best you have in years. 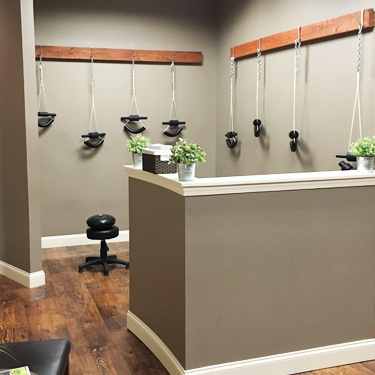 Our patients are encouraged to get wellness care adjustments to optimize their ongoing health. 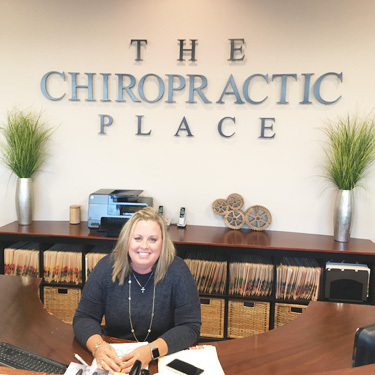 The Chiropractic Place, however, respects your decision to choose what you think is best for your health and ultimate happiness. Contact us today; we offer free consultations and accept insurance!